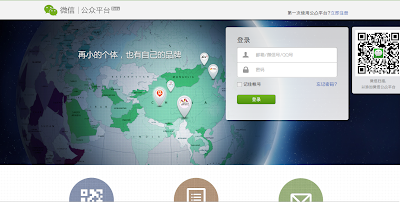 Tencent updated the login page of WeChat public platform and the case studies. 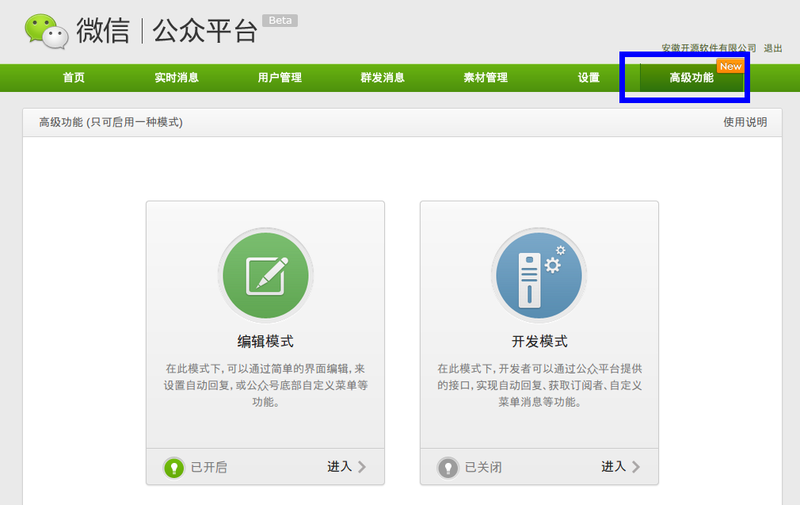 As I explained before, WeChat have a management platform(PPoW) for the official accounts, but recently its login page was updated as follows. 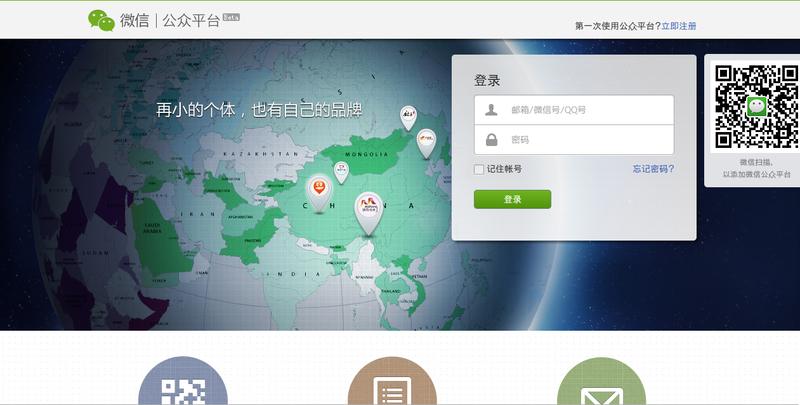 Last time, I explained that the oversea users of WeChat already exceeded 40 million people, but the image of this login page looks like to suggest that Tencent will accelerate overseas advance. There is no update in the page of after login at this time. But there are some new features compared to my last explanation, so I would like to explain them. As the above picture, the feature of "Advanced Settings" was added the right end of menu. And on the "Advanced Settings", users can manage auto reply feature and customize the menu of display screen of WeChat. 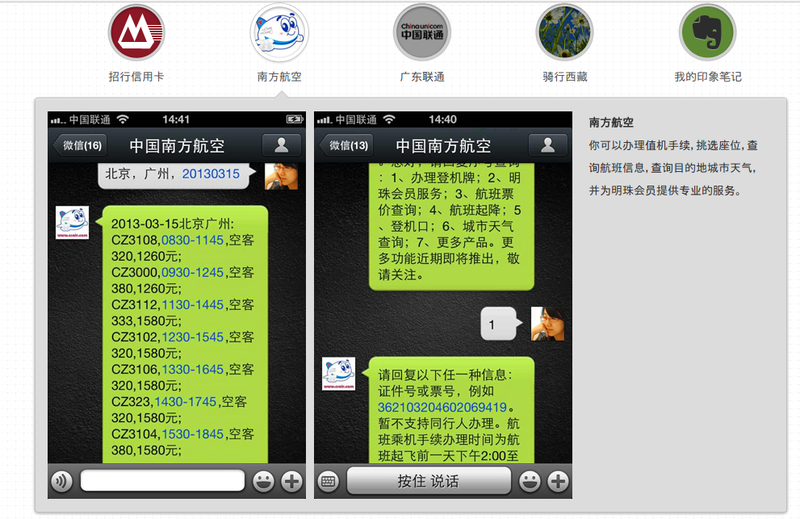 And users can also demand to become its developer to refer the APIs of WeChat PPoW. And at the same time, the case studies on this page was also updated. 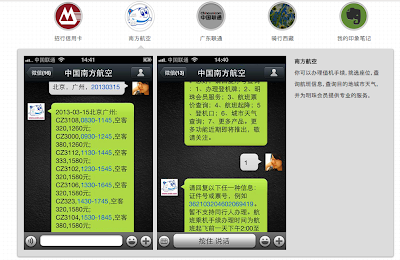 They introduce 5 case studies on there, and China Southern Airline leverages WeChat to reply automatically the flight information, the weather in the each place and so forth to their users. And Evernote is also leveraging WeChat, they makes WeChat user easily share the information in WeChat to each Evernote accounts. Recently, the official account on WeChat is more and more increasing, but I would like to continue introducing the interesting case studies as ever.